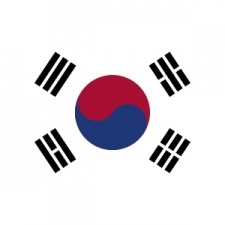 South Korea is arguably one of the most influential games markets on the planet. According to a Newzoo report, the country is the fourth largest games sector in the world with overall game revenue predicted to hit $5.6 billion this year. Over half of the country's 51.5m population, 28.9 million people, are considered as games players. An impressive 48 million people are connected to the internet. Of those who spend money on in-game items or virtual goods on any platform, 85 per cent of them have made a purchase in the last six months. Mobile is the dominant format in the region, with 59 per cent of men and 47 per cent of women playing games on smartphones and tablets at least once per month. PC is the second most popular platform, with 49 per cent of men and 25 per cent of women playing titles on the systems. In terms of the number of people playing, console has the weakest numbers with only 24 per cent of the male population playing on these platforms - and only 14 per cent. The Korean population isn't just interested in playing games - it spends time watching them, too. 39 per cent of the 'online population' in South Korea watch games content - over 51 per cent doing so on their mobile phone or tablet. Only 20 per cent of consumers in the country that are aware of professional competitive gaming watch such content more than once a month. Esports is hugely popular in South Korea, and currently, the most-watched tile in this space is Riot Games' League of Legends. But esports has been popular for a long time in the country, thanks to games such as Blizzard's StarCraft. In 2000, Korea's Ministry of Culture and Tourism sponsored the World Cyber Olympics, alongside Samsung and Microsoft. Since then the region has gone on to become an absolute powerhouse in the pro-games scene, with many of the world's best players in a variety of esports faring from this part of the world. Indeed, projects like League of Legends and StarCraft 2 could easily be argued to be South Korea's national sports. Esports' popularity and the abundance of professional gaming talent is down to the culture surrounding video games on Korea. While going to an external location to play is an alien concept for many, in South Korea LAN games centres, called 'bangs', are commonplace and give people access to a fast internet connection and a place to play games. Many titles in the region offer incentives to play at one of these centres - one example being League of Legends granting free access to all characters in the smash hit MOBA, something that would normally set users back a pretty penny. Bangs rose to prominence in the late 90s thanks to the sheer popularity of Blizzard's StarCraft II. As well as helping give rise to the pro-games scene in Korea, bangs have also been the face of the dark side of video games as well. In the past there have been numerous cases of players dying in bangs while playing games. While tragic, the positive side of this is that the Korean government has taken steps to ensure that consumers are protected, or at least have proper support. In late 2011, the Cinderella law was implemented, restricting minors from accessing video games between 10pm and 6am. In addition, the government established treatment facilities to help those addicted to video games deal with their affliction. This is just one way in which South Korea could be argued as one of the few countries on Earth that actually takes video games seriously - more on that later in the week. In terms of what games are popular in Korea, like many Asian regions the answer is online titles that have an MMO or social bent. A list of the most played games in Korean bangs during 2017 shows that League of Legends was the most popular, with Playerunknown's Battlegrounds coming in second and Overwatch claiming third place. FIFA Online 3 was also popular, as was CS:GO-rival Sudden Attack. Meanwhile, Dungeon and Fighter, StarCraft, Maple Story, Blade and Soul and Lineage all appear and are all MMOs. This DNA is carried over to mobile, too. As reported by PocketGamer.biz, the most popular games in the region for the first half of 2018 include MMOs Lineage M and Lineage 2: Revolution - from NCSoft and Netmarble respectively as well as Black Desert Mobile from Pearl Abyss. Looking to the future, Korea continues to be a pioneer for the global games market. The country has recently passed laws making using or distributing cheats illegal, while sexual harassment in video games might soon be against the law. More on that in our upcoming piece about how Korea is the one to watch when it comes to video games. Join Steel Media and Jagex Partners to explore the Korean market first hand at G-Star, the biggest games conference in the region. We're running the finale of the Big Indie Awards, two Big Indie Pitches and a PG Party in association with Persona.ly, Jagex and G-Star, whilst Jagex is launching their Jagex Partner program, looking to connect with developers and publishers in the 'living games' space.